1986, photographer: Mary Thomas, missing since June 13th, 1986. ^ a b c d e Chess, Shira (2012). 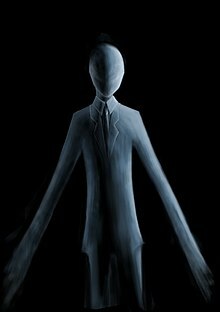 “Open-Sourcing Horror: The Slender Man, Marble Hornets, and genre negotiations”. Information, Communication & Society 15 (3): 374–393. doi:10.1080/1369118X.2011.642889. ^ a b c Gail Arlene De Vos (2012). What Happens Next?. ABC-CLIO. p. 162. ISBN 9781598846348. http://books.google.com/books?id=6HJwCRAlpioC&pg=PT162.